RestorationMaster is a respected franchise located in Green Bay, Wisconsin. Their company was created 16 years ago in the area while the RestorationMaster franchise has existed for over 50 years in Wisconsin. They are ranked in the top 15 RestorationMaster franchises in the country. Specializing in fire and odor restoration, water restoration, carpet cleaning, mold remediation and duct cleaning this RestorationMaster branch takes pride in servicing the Green Bay area. RestorationMaster, Green Bay has the privilege of servicing and working areas from Ashland, WI to Brookfield, WI. They can take care of any commercial and residential properties that have been damaged. While taking pride in their work, RestorationMaster, Green Bay also goes above and beyond the average restoration service companies. They aid in Special Services across Wisconsin. These include crime scene cleanup, vandalism, trauma, biohazard, storm damage, repair, and air duct cleaning. They have extensive commercial experience locally as well as throughout the United States – hurricanes, wild fires, tropical storms, deep freezes, wild fires and natural floods. Their attitude is to restore with as little demolition as possible, disrupt their customers minimally all while getting them back to their normal life as soon as possible. RestorationMaster, Green Bay WI meets the demands of the RestorationMaster brand and is recognized as a leader in performance, service, and quality. They specialize in 24 hour assistance for all your home and company emergencies. They are able to handle large-scale losses efficiently and cost effectively as well as being a preferred vendor for most insurance companies. Technicians, Project Managers, and office staff are certified as well as the firm. RestorationMaster has over 16 years of experience in fire damage restoration and cleanup in Green Bay WI area. 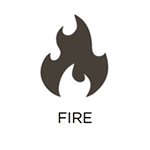 Quick response to fire damage will minimize further damage to your structure and belongings. With their years of experience, they know that quick fire clean up can reduce your losses after the fire has been terminated. 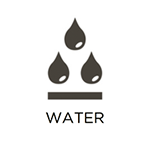 Water damage can come from many different sources such as pipe leaks, sump pumps failures or water softener leaks. No matter the problem, RestorationMaster, Green Bay WI is ready to help you in your time of need. A quick response is essential to prevent further damage to your structure and belongings. 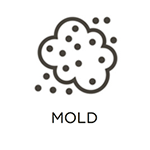 Mold can begin to grow within 72 hours of the initial water damage. Our experienced technicians are well trained to efficiently dry your structure and minimize any further damage. RestorationMaster is a respected franchise located in Green Bay, Wisconsin. Their carpet cleaning prices have no hidden fees. For example, some of their competitors will charge for stain removal, furniture moving and excessive square footage. By the time the job is completed the prices have escalated higher than anticipated. They use a truck mount unit to clean carpet, with high temps and extreme vacuum power to remove excess water which in turn results in quicker drying times. Regular duct cleaning service will help maintain a healthy environment through cleaner air. RestorationMaster can help you with the quality of air brought through your home. Indoor air pollution is a growing issue that can be improved with vent duct cleaning. Our professionals are experts in HVAC duct cleaning, and have the tools and experience to get the job done right. RestorationMaster has the extensive experience to tackle any mold problem you may have. Since their employees go through ongoing training, they are current on the latest techniques on mold removal, which in turn helps them determine how to restore your property. RestorationMaster, Green Bay WI can maintain their focus to make sure the dangerous mold is removed safely from your home.